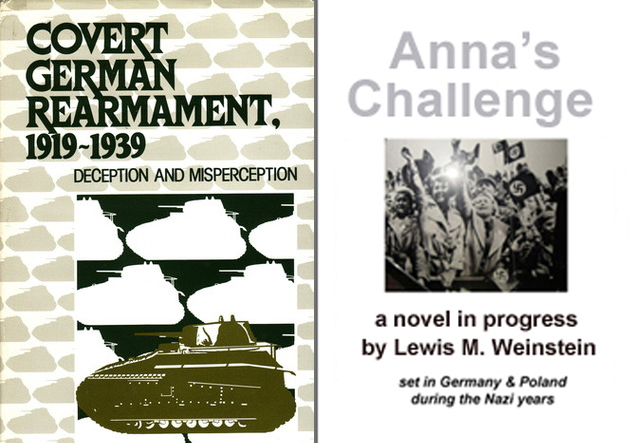 A 1984 CIA research publication presents one of the great deceptions of modern times: the interwar German evasion of the disarmament provisions of the Versailles settlement. With intriguing detail the author shows how the military, political and industrial leaders of Germany cleverly, systematically, and effectively evaded armament restrictions and clandestinely rearmed Germany, transforming it in 20 years from the ashes of World War I to a first-rate military power. Of particular note is that this rearmament began immediately after the German defeat in WWI, long before Hitler became Chancellor in 1933. Part of Hitler’s appeal to the military and major arms producers was his support for what they were already doing. The book is very well footnoted with a superb bibliography. This opens up a whole new plot line for my German character in my novel-in-progress. This entry was posted on January 5, 2015 at 12:53 pm	and is filed under ** RESEARCH for A FLOOD OF EVIL. You can follow any responses to this entry through the RSS 2.0 feed. You can skip to the end and leave a response. Pinging is currently not allowed.